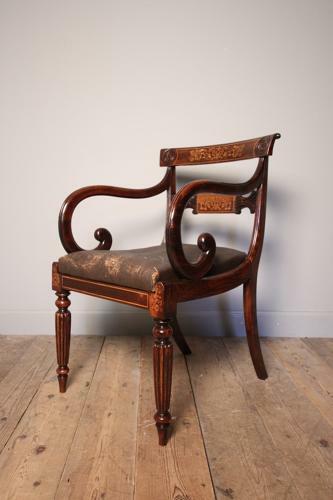 A fine Regency faux Rosewood elbow desk chair in the manner of Gillows, raised on reeded front legs with fine inlay decoration to all the rails. Having exaggerated scrolled arms with pop in seat and rattan base. In superb original condition throughout with fabulous colour and lustre.